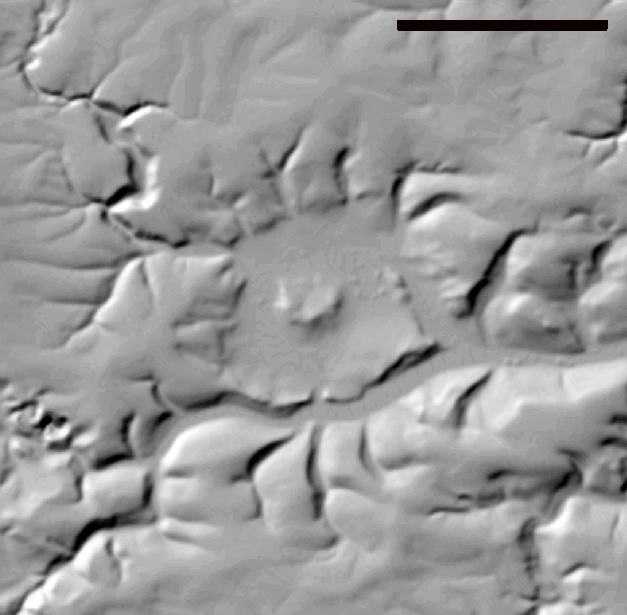 The 15 Ma Steinheim basin, very probably a companion to the Ries impact structure, is a typical complex impact structure with a distinct 1,000 m-diameter central uplift as shown by a topographical profile, in a relief map and on the geological map (see images below). Commonly, a diameter of about 3.7 km is quoted, but there is evidence that the structure is much larger (Fig. 2; especially see gravity survey). Fig. 1. Steinheim Basin meteorite crater (Google Earth). Typical example of a complex impact structure exhibiting a central uplift that formed in the final phase of impact cratering in the so-called modification stage. Fig. 2. Relief map of the Steinheim Basin crater. Scale bar 3 km. (Source : TOP 25 Baden Württemberg). As also suggested by the drainage pattern, the true impact structure is significantly lager (ca. 7 km diameter; see page on geophysics and gravimetry) than the central basin of ca. 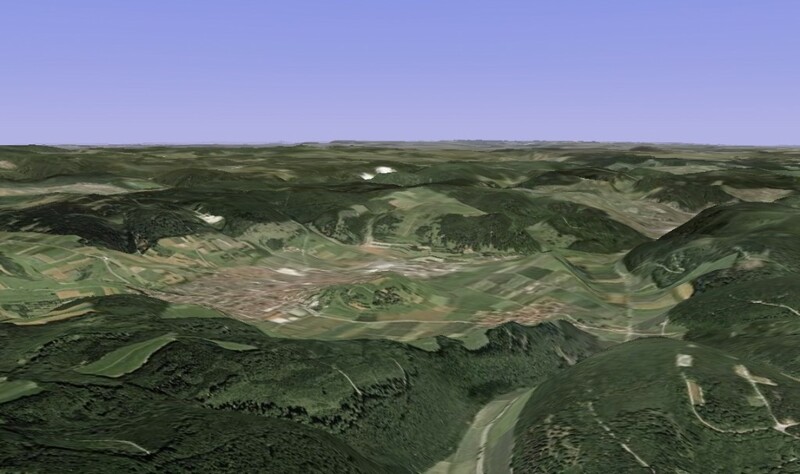 3.7 km diameter that is still referred to in the literature on the Steinheim impact. Fig. 3. Topographic profiles of the Steinheim Basin. Fig. 4. 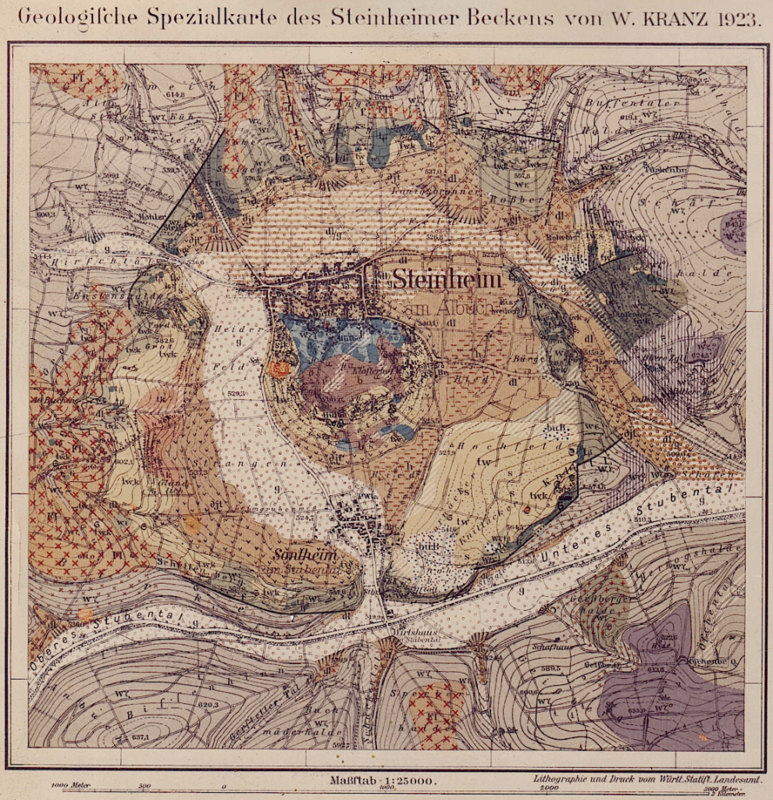 Geological map of the Steinheim basin impact crater. Click on the map for enlargement. The sedimentary target consisted of Jurassic limestones, marlstones, sandstones and claystones which contribute to the megabreccia of the central uplift and to a polymict breccia in the basin.